I am a textile designer, film + TV producer & creative entrepreneur. Following a degree in international business management I worked in B2B marketing in a diverse range of markets from industrial chemicals & gases to telecommunications. I moved to Canada in 2000 & spent the next 10 years producing television & feature films that have been distributed both in Canada and internationally. After returning to school to study textile design in 2008, I merged my love of design & entrepreneurial spirit to create Antipod Workshop, a textile design studio & creative hub driven by a core belief in the value of the hand-made as modern luxury. I place a strong emphasis on making sound sourcing & production choices, taking a big-picture view of the environmental issues that challenge this industry. 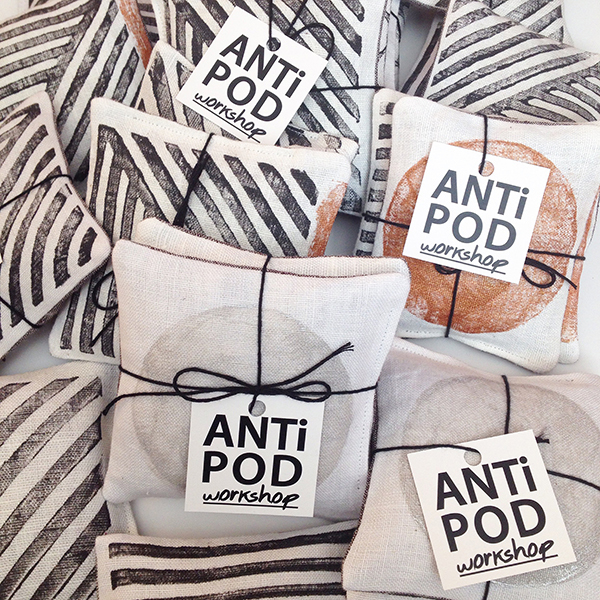 Antipod also functions as a hub for creative engagement both through collaboration with other artists & artisan groups & as a place where people can learn about making for themselves, rediscover the art of play & hone their own creativity through workshops & DIY projects. The debut collection ARTIFACT was designed digitally from original photographs using Photoshop & Illustrator. I managed sublimation printing + cut & sew manufacture, art-directed the photo-shoot and built a branded e-commerce website using Shopify. My second collection LEXICON was developed as an exploration of line-work and debuted at Vancouver design show ADDRESS Assembly in May, 2016. I develop patterns by drawing, painting & collage alongside digital processes and also weave my own fabrics using both a floor loom and a computer-controlled jacquard loom. My goal with Antipod Workshop is to be experimental and make both art and functional objects that tell a story. I embrace both cutting edge technology as well as old school practices to make work that is both contemporary and familiar, with a focus on transparent production methods and sustainable choices. In a world where the textile industry has a massive environmental footprint, I believe that small makers can contribute significantly by making responsible choices and being transparent about their chain of production.